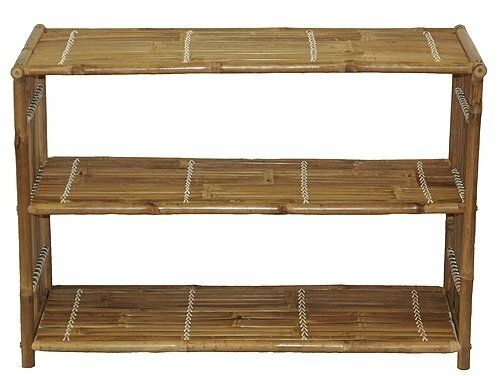 Offering multipurpose versatility for use with indoor or outdoor decor, the Bamboo54 Patio Buffet Table with Shelf is crafted from durable bamboo that brings a tropical, natural appeal to your living space. This buffet table features a flat top for easy display and sturdy shelves that allow for convenient storage. Dimensions: 37W x 15D x 26H in.. 3 shelves. Handmade from eco-friendly bamboo. Natural finish. Dimensions: 37W x 15D x 26H in.